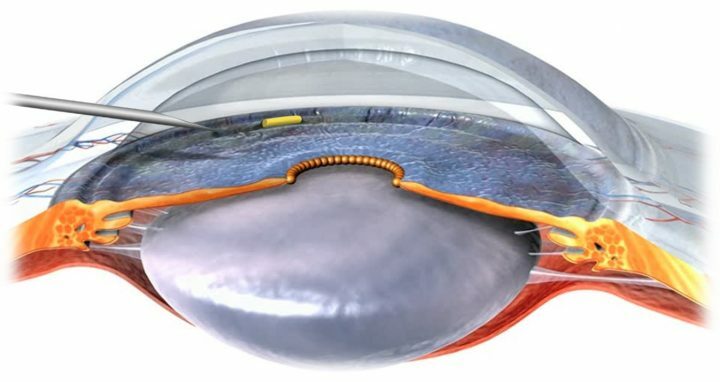 OTX-TIC is designed to be a bioresorbable intracameral implant containing micronized travoprost that is injected into the anterior chamber of the eye and is intended for patients with glaucoma with a target duration of drug delivery of four to six months. Preclinical studies in beagles have demonstrated an acceptable safety profile, maintenance of drug levels in the aqueous humor and a sustained lowering of intraocular pressure. OTX-TIC is designed to directly address compliance issues by delivering travoprost over the course of several months with a single implant. May 2018, the first patient was treated with OTX-TIC in a Phase 1, multi-center, open-label, prospective, proof-of-concept clinical trial. This US-based trial will evaluate the safety, efficacy, durability, and tolerability of OTX-TIC in patients with primary open angle glaucoma or ocular hypertension. Caution: NEW DRUG – OTX-TIC is currently undergoing clinical evaluation in the United States and is limited by United States law to investigational use only. This product has not been approved by the FDA as safe or effective. Injection of OTX-TIC implant in the anterior chamber of the eye. Implant drops down and resides in the iridocorneal angle.